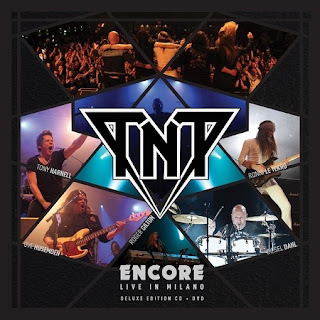 Δελτίο τύπου: «“Encore” is a special live album, recorded during TNT’s headlining set at Frontiers Rock Festival in Milan on April 30, 2017. This release is the last live footage of the unique combination of the American singer Tony Harnell with the band’s mastermind, guitarist Ronni LeTekro. Video: "As Far As The Eye Can See"
Album: "Encore - Live in Milano"